Medical treatment guidelines are applied in Massachusetts workers' compensation cases. The original guidelines were crafted in 1993 and arose from multiple sources. These guidelines are reviewed annually under MGL c. 152 and are meant to cover most tests and treatments for each of the conditions that they consider. Expert clinicians in various specialties draft them based on what reasonable practitioners recommend and the best available medical evidence. Once they have been drafted, several groups such as employers groups, medical societies, insurers, and labor further review the guidelines. After they are endorsed by the HCSB, the Director of the Department of Industrial Accidents reviews them for adoption. 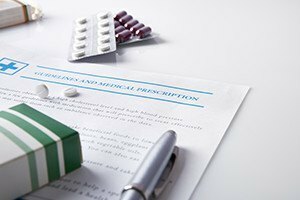 If you are concerned about arranging a possible deviation from the treatment guidelines, the Boston workers’ compensation attorneys at Pulgini & Norton may be able to provide counsel and representation. Your employer is entitled to designate a health care provider for your first visit, but after that you have the right to choose your own health care providers. You can change providers once without your employer's insurance carrier's permission, but to change again, you will need agreement from the insurer. The insurer is entitled to send you to a doctor of its choice to evaluate your capacity. Although you can choose your own provider, he or she is expected to adhere at least in part to the medical treatment guidelines, which are written broadly to accommodate a wide range of injuries and conditions. In Massachusetts, workers’ compensation insurers are required to evaluate possible medical services to be provided to injured workers within 12 weeks from the injury date. During that period, utilization review agents follow certain guidelines to determine whether a treatment your doctor proposes is medically necessary, reasonable, appropriate, and likely to be effective. The medical treatment guidelines provide the majority of tests and treatments relevant to 28 medical conditions, including carpal tunnel syndrome, knee injuries, shoulder injuries, neck and back injuries, cervical radiculopathy, single lumbar spinal nerve root entrapment, chronic neuromusculo-skeletal injury, chronic pain, and occupational asthma. Each of the broader categories includes treatment for various conditions within the category. For example, knee injuries are considered multi-factorial and may be the result of a single traumatic event, workplace hazards, or the result of cumulative traumas to the knee when the job requires repeated squatting, stooping, kneeling, or lifting. Diagnostic tests can include X-rays involving four views, an MRI or CT when there are certain indications, and arthrocentesis and joint fluid analysis of an effusion for a differential diagnosis, such as rheumatoid arthritis, if there is a clinical indicator. Within the first six weeks of treatment for knee injuries, for example, there are guidelines specifying the maximum number of allowable visits to various providers. A maximum of six medical office visits are allowed, a maximum of 18 physical therapy visits are allowed, and a maximum of 18 occupational therapy visits are allowed. Initial treatments include analgesics, anti-inflammatories, splinting, assistive devices, joint aspiration, soft tissue mobilization, local and distal joint mobilization, foot orthotics, exercise therapy, and corticosteroid injections. The guidelines are intended to give guidance to insurers, clinicians, and utilization review agents about which treatments are within an acceptable range. They are not considered mandatory, however. About 10% of treatments are expected to deviate from the guidelines. At Pulgini & Norton, our Boston workers’ compensation lawyers can help you fight for your rights in connection with your claim. You are entitled to adequate and reasonable medical treatment. Among other things, we can provide advice and representation in connection with the utilization review process and any disputes about your physician's deviations from treatment guidelines. Our firm also advises and represents injured employees in Medford, Andover, Quincy, and other cities in Massachusetts. Call us at 781-843-2200 or contact us via our online form for a free consultation with a workplace accident attorney.